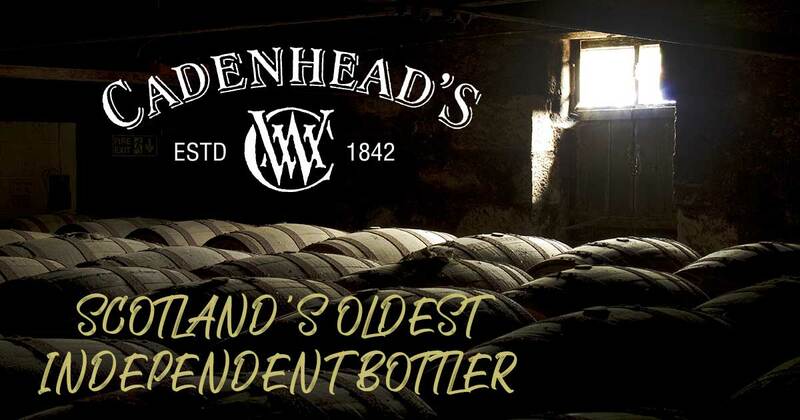 Home » Inside the Cask – Whisky & Bottling Blog » Look Around You! Auctions aren’t all bad! Mark Watt discusses auctions sites and whether it is worth shopping around for a better deal – you never know what you might find. I am not looking getting into an argument about flipping or the morals of selling whisky that you bought three minutes ago at Auction, that has been done extensively elsewhere. In the interest of full disclosure, I have no problems with whisky auctions and have personally used several including Whisky Auctioneer and Scotch Whisky Auctions and have always found them excellent to deal with whether buying, selling or being outbid! The thing I want to point out on this blog post is that Whisky Auctions are not evil, but really people should shop at auctions just like they would anywhere else – look around and see what price things are else where. Recently at an auction our Carsebridge 41yo sold at a commission included price of £396.00 when the same whisky is still on sale in Campbeltown at £220.00. This led me to review two recent auctions and compare the prices of things still in stock in Campbeltown against the hammer price. It made for some interesting reading. Well interesting if you like this sort of thing! 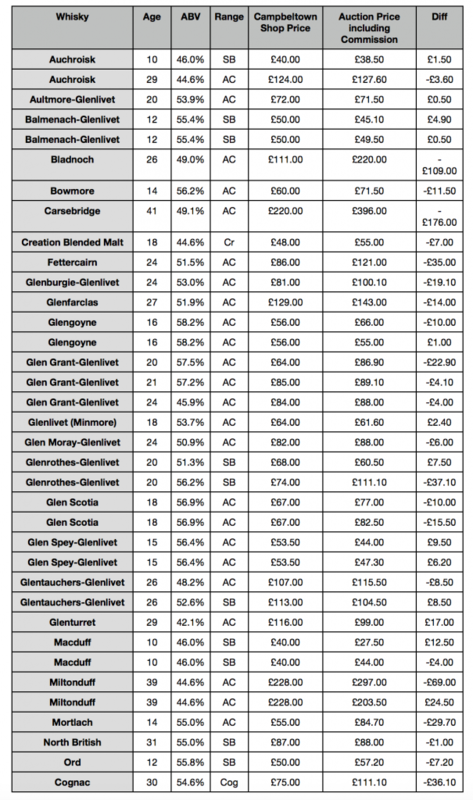 Of the 37 bottles reviewed that were both available in Auction and in the Campbeltown shop as of 3rd of April 2018, 23 were cheaper if purchased from Campbeltown, with overall the average price per bottle being £15.11 cheaper. With the savings on the Carsebridge, Bladnoch and Fettercairn being the most eye catching. That said there were some bargains to be had at auction, you could save £24.00 by purchasing the Miltonduff 1978 at auction rather than from Campbeltown, so it does show that not every bottle sold on auction is going for ridiculously high prices. Technically 14 Auction lots at these two auctions will have been sold at a loss to the seller especially when you add on the selling fees – not something you see many people commenting on! All in all, for many bottlings the best way to get them are at Auction after they are sold out everywhere or if the shop that has it in stock doesn’t ship to your country, I am definitely not against whisky auctions just wish people showed a bit of common sense and shop around a bit before out bidding me! Really good article well written and illustrated.